My dad once said that if I spent as much time studying as I did looking for love, my grades would be a lot better. Yeah, that was high school. Since then I've held odd jobs and odder hobbies. But looking back at my previous experiences I can identify where I acquired each of the skill sets I now use to run what you know as LUCIMA. In late 1999, I started playing a game called Counter-Strike. 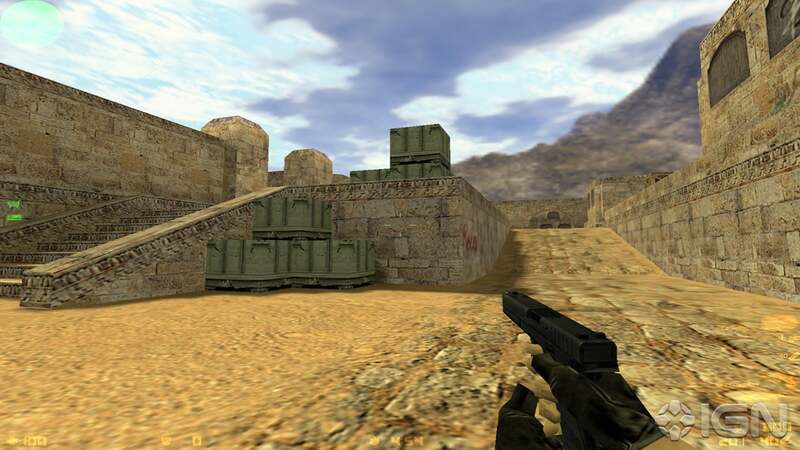 A first-player shooter built off of Valve's Half-Life physics engine, Counter-Strike was IMHO the first rampantly played multiplayer FPS (I think even before Team Fortress became popular... well at least it overtook Team Fortress quickly!). Considering that it was a mod of Half-Life is truly impressive. Basically 2 guys (Gooseman and Cliffe) in a garage modifying the Valve code into a different framework that had a different set of objectives, weaponry, and scenarios. Originally a free download on top of the Half-Life game, Counter-Strike was eventually sold to Valve (for probably a substantial amount of money) and sold directly via Valve as a standalone game. I have committed to photography full time now and it seems as though I will never see the light at the end of the tunnel. Looking for any encouragement from full-time photographers and would love to hear about any rough times they had and how they got through it. And as I was flipping through some of my older blog content I found a post about an Avedon quote about Maniacs. I read it and was fired up to write a similar post. But the more I thought about it, the more I realized, "You gotta know when to hold 'em and when to fold 'em" and perhaps that's a greater lesson than just learning pure persistence. Here's an example of knowing when "to hold 'em". It took me 16 hours for me to finish Ironman NYC. No highlight recovery for you Leica M-Monochrom! I never asked the question, "How does highlight recovery work?" or "How does Camera RAW know what lies outside the histogram?" It wasn't until I was reading up on the Leica M-Monochrom that I learned that highlight recovery comes from getting data from one of the other channels that aren't blown out. Silly me. I should have known. This also explains why recovered highlights don't always look "optimal" sometimes there's still something muddy about the detail recovered especially when 2 channels are blown. And apparently not all cameras are created equal in their ability to recover highlights. Read this for more in-depth explanation on how highlight recovery works. So I wrote this blog entry a while back about using an iPhone4 to expose you photography weaknesses because of the limited dynamic range, shooting speeds, write speeds, controls, etc. Today I'm going to tell you how you can further expose your weaknesses but not with anything camera-related. But instead, with a mountain bike. Yesterday, my friend Billy and I were in the local mountains (above Jet Propulsion Laboratory) riding a well-known trail. The climb uphill was uneventful as usual. Coming down, Billy was right behind me the whole time as I could hear his brakes squealing like a stuck pig. Ending our descent, I entered the landing area (called the Saddleback) where we usually regroup. I slowed to a stop and turned the bike around fully expecting to see Billy come shooting out of the trail into the landing area. A minute passed and I started to get worried. It made no sense that he hadn't shown up yet since he was hot on my tail earlier. Wondering if maybe he took a spill, I rode up the trail to find him. I didn't have to go far before I found Billy hobbling onto his bike. "I didn't see the log"
The aforementioned log is a fallen tree that runs exactly perpendicular to the trail and looks like the one below but bigger/taller and you can't go around it (we were on a singletrack). Shot all day with the D800 yesterday. After configuring the camera to my preferences the first thing that I noticed when reaching back for the D3 was that the screen size on the D800 was slightly bigger. Noticeable? No. But when I switched back to the D3, the screen seemed smaller. Settings and interface mostly the same. Nothing to write home about. The camera felt a little plastic to me though. It certainly wasn't as heavy as I thought it would have weighed. Not sure why. Felt consumerish and not pro. Mounting some of my non internal focus lenses made the whole unit sound loud and rickety. I suppose that's the difference on a pro body. The missing vertical grip killed me. I never thought I would "need" the vertical grip. I was wrong. Furthermore the missing LCD *on* the vertical grip with the WB info and the ISO information was very unpleasant. There are buttons there too. If you aren't familiar with the backside of the D3 take a look above. Not being able to see immediately the format and the configuration of the dual card slots was annoying too. Speaking of dual card slots, they write at different speeds (particularly when the cards are set to write different formats and the cards have different speed ratings). You pop in 2 cards and make them write stuff simultaneously and you're waiting for BOTH cards to finish writing once you run out of buffer. Sure, one is faster than the other. But you're waiting on the slower one to finish writing (usually the SD card) before you can shoot again. That makes for an annoyance if you want to shoot faster. Get rid of 1 card or don't write to both or get a uber faster SD card. It was nice to have Nikon build in that D3-type redundancy into the D800 though. That's definitely a pro feature. "Fire and Ice" The location for our next fashion photography workshop! Q: I hope you're doing well, and congratulations (!). I love all the new work, and look up to you as I try to progress through this very strange world of fashion photography. I wanted to ask you for a little advice. I'm having a mini-crisis of faith. I've been shooting fashion and tests for a year or two. I'm very critical of my own work, but I see some improvement. I was shooting free tests for a couple of small/medium agencies, and occasionally booking some shoots through MM. I have only one publication in a print (small teen fashion mag) which I got through a casting call on MM a year ago. I usually shoot on location, mostly because it's interesting, but also because it saves money. Sometimes the agents ask me to pick up and drop off the girl. Generally they seem happy with my work, since it ends up on their board and they send me packages whenever I ask for them. I just started testing with HMM. When I set up the first test, I didn't mention pay and neither did the agent/booker. It's not that I have to get paid, but it would nice, and seems like it would mean I've reached "the next level", where people pay to shoot with me. Maybe I'm wrong about the symbolism.